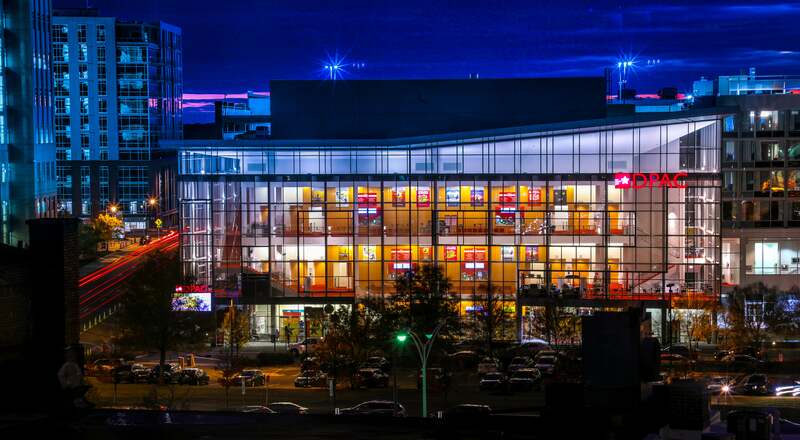 A limited number of $20-$30 rush tickets will be available at The Blue Cross Blue Shield of North Carolina Ticket Center at DPAC for most Broadway performances. Rush tickets are available for single seats only and not available in pairs or locations adjacent to each other. Cash & credit cards are accepted. On sale, times vary per show, subject to availability. For more information, check the "More Info" page of the specific Broadway show you are interested in. Through a new special offer called DPAC for All, DPAC has reserved $20 seats exclusively for residents of Durham for many of the venue’s performances this season. DPAC for All tickets must be purchased in person at the Blue Cross Blue Shield of North Carolina Ticket Center at DPAC, located at 123 Vivian Street. Durham residents will need to ask for DPAC for All tickets to buy the $20 seats (plus tax). Tickets will be available until one month before each event, while supplies last. DPAC for All tickets are already on sale for Lightning Thief, Tap Dogs, and Beautiful: The Carole King Musical; more show offerings will be announced in the coming months. The following SunTrust Broadway at DPAC shows also will be included in DPAC for All: Anastasia, “Hello, Dolly!,”Cats, and Aladdin. Many SunTrust Broadway and Greatest Hits of Broadway at DPAC shows offer discounted tickets for students. Students of all ages are eligible to purchase up to two tickets at the discounted rates. Student priced tickets are located in a variety of locations, but most often are in the last rows of the Balcony or Grand Tier. Savings are often up to 50% when compared to adjacent seating. To purchase you can visit Blue Cross and Blue Shield of North Carolina Ticket Center at DPAC at 123 Vivian Street in Durham, call DPAC at 919.680.2787 or go online to www.dpacnc.com or www.ticketmaster.com. All Student tickets purchased will be available for pick-up at Blue Cross and Blue Shield of North Carolina Ticket Center at DPAC starting two hours before the performance and require a current student ID for pick-up. Student tickets start at $20 for most Broadway shows and quantities are limited so we advise purchasing early for best selection. Military personnel may also have the opportunity to purchase tickets online. Contact your base benefits office for details. Is your base not yet a part of our online savings program? Have your base contact Group Services 919-281-0587 or [email protected] to get added for online offers. Interested in a Corporate Outing at a DPAC Show? Visit the Group Services page for more information to plan your group event, including opportunities for ticket savings.